Alannah has been dancing from early childhood and her passion carried her into full time performance training after secondary school for a number of years. Unfortunately whilst performing Alannah suffered a lower back injury which incapacitated her for a number of months. Her rehabilitation became centred around physiotherapy and pilates. The treatment and benefit of pilates exceeded her expectations not only with a full recovery but enhancing her performance and ability as a dancer. The incredibly significant improvement in her health, fitness and wellbeing is where her passion for pilates began. Seeking to help others reek the benefits and understand the tremendous value pilates brought to her, she gained her qualifications in Mat & Reformer Pilates, and also in Personal Training. 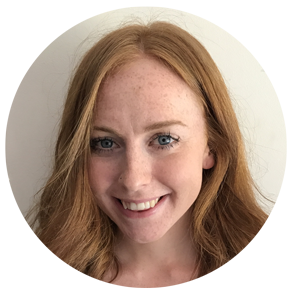 Alannah had always harboured an ambition in living overseas so after she completed her qualifications she moved to London mid 2015. She soon secured a spot as a trainer with Ten Health & Fitness – a top performing studio in central London offering reformer pilates classes, personal training, physiotherapy, sports massage as well as other fitness classes. After eighteen months the pull of the good life back in Australia has brought Alannah home to continue her passion for movement and her fascination for the human anatomy. Alannah’s ultimate goal is to carry over what we do in the pilates studio into everyday life as second nature. She forms her classes on being effective in building strength, improving technique and minimising the potential for injury. Her Mantra: Never Miss a Monday!